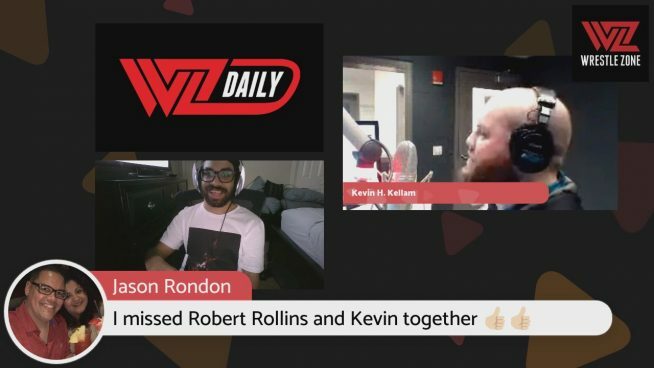 With so much to cover with WrestleMania week in full swing, it was only fitting that one of the most beloved hosts on WZ Daily returns after a long hiatus, our own beloved Seth Rollins look-a-like Robert DeFelice returns! DeFelice joins 101WKQX’s Kevin Kellam chat up the big match-ups this weekend, what the pre-show is stacking up to be, how ROH / NJPW G1 Supercard will be a can’t-miss show, and Jim Ross joining All Elite Wrestling. What WWE Superstar says his heart-broken over Dean Ambrose leaving the company? Can Becky Lych, Kofi Kingston, and Rollins all leave MetLife Stadium as champion this Sunday?